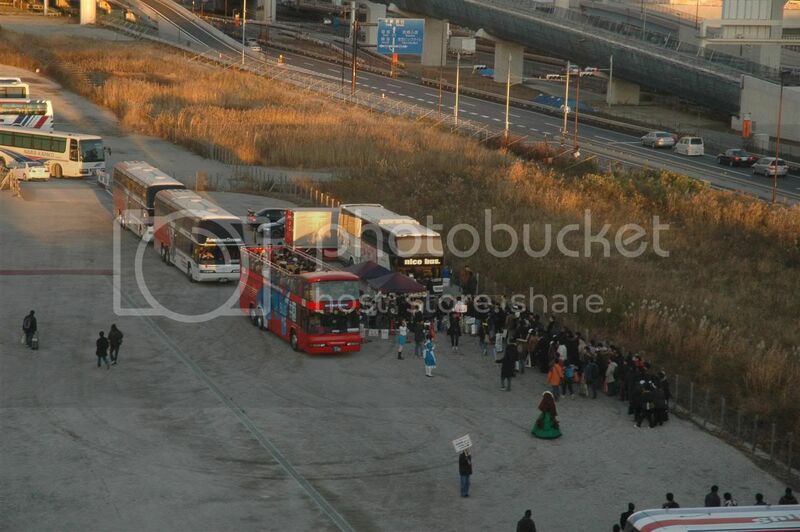 Updated: 13/01/08, 2.10pm with some added pictures in the Comiket photo album. Forgot I got some on another camera, and yes I was carrying 2 cameras for the whole trip. 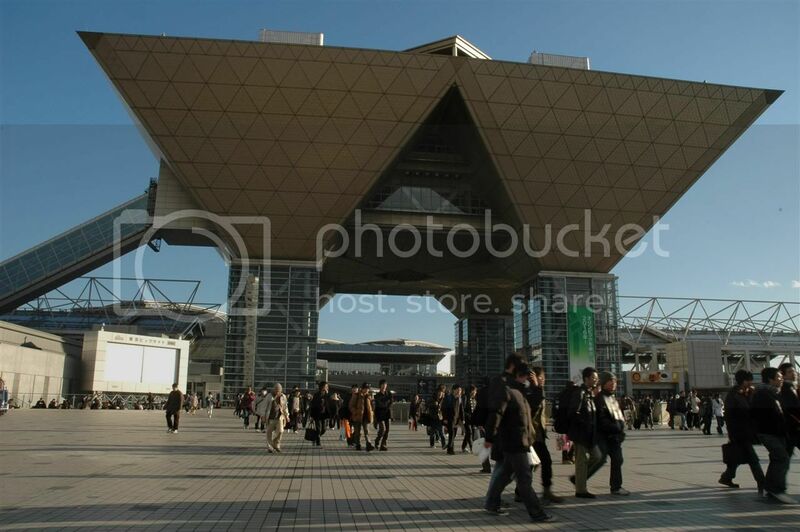 This is going to be a short post, don't really have much to say about Comiket, in which I'm sure many other bloggers would have already said their bit on the event. On my side, all I can say is I totally enjoyed the event despite the constant queuing up for the loots. Having the chance to see all the artwork of thousands of artist, being able to feel the atmosphere of having thousands of fellow anime lovers around you, having to "force" one's way through a horde of people to head to another destination, it truly was a good experience. Well the only down side to it has got to be all the queuing up one would have to do in order to get loots of their favourite artist, and when reaching the next booth to only see it all sold out. I totally missed out on Rei's Room even though it was the 2nd stop after Ice and Choco, I was really really sad. Other booths that I truly wanted but couldn't get includes the likes of Tennenseki, Kantoku, AMR (the set which I have is bought 2nd hand when I found it in Nipponbashi, Osaka), Tinkerbell, Indico Lite, Suzuya and QP:Flapper (couldn't find the set 2nd hand, settled for only the book, found in Akiba). Comiket starts from 10am, but on the first day we actually arrived at 10.15, and initially I looked at Ariake from the train and thought we'll get in fast cause there wasn't any queue from the station to Ariake, and boy was I totally wrong. We were directed in the opposite direction, away from Ariake, around some buildings, then we finally saw the start of the queues. I was totally thrown back, wasn't expecting this kind of queue (I'm a first timer!!). Eventually we finally entered Ariake at around 11.45, and mainly we did a scouting of the area, pick up some nice looking doujins, then headed to the media area. 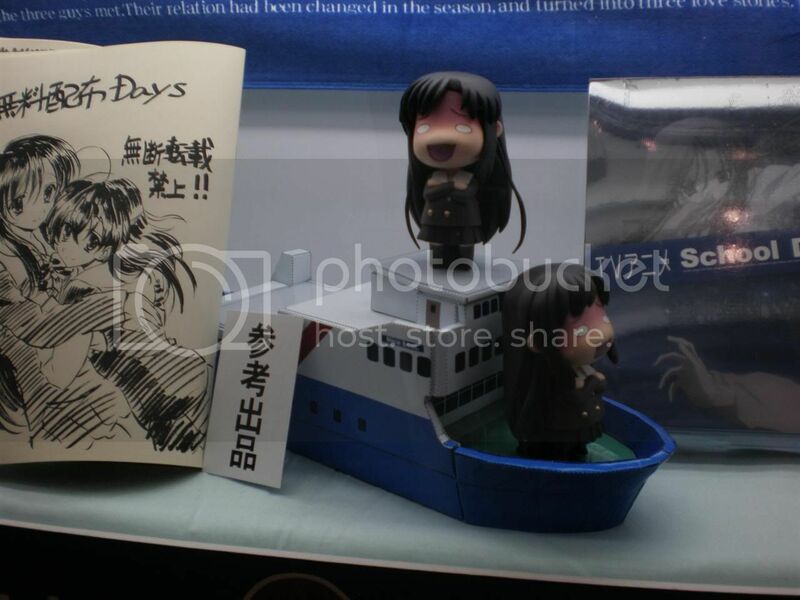 Queued in the Visual Arts queue for about 2hrs, in which I got myself the Little Busters set, Coming x Humming!! set and the Koibito Doushide Surukoto Zenbu set (besides the Little Busters set which I really wanted, the other 2 I found the art not too bad and didn't want to make the time I queued a waste so I just grabbed them). After that we walked around the media area abit, making note of things that we want, and intend to get them on the following day (day 2). Soon after we left Ariake around 4.45pm and headed back to the hostel to make our battle plans for day 2 and 3. Damage Done: 19,300 Yen. Day 2, we arrived at around 9, and as expected there was already a long queue, but still worst than I had expected. We decided to go as planned and "attack" the booths that we wanted. I managed to grab about 60% of them, but missed out on the Kyoani's Clannad and Lucky Star sets, Minori's ef Second Fanmix CD, Dango Daikazoku Plushies + a 2nd Botan for my niece, and a few other stuffs which I can't recall. We called it a day around 1.30pm and went back to the hostel to make final prep for day 3. Being first timers, I followed the ruling in which we can't camp outside Ariake overnight, in which I really wanted to do, but decided to reach at around 7am. At this moment I didn't know that thousands of others would be camping overnight, and I feel cheated, but this is a lesson learnt and when I go Comiket again I would do the same!! Damage Done: 16,000 Yen. Day 3, arrived at around 7am, started in a queue which was about 2 rows behind the row we were on day 2 (yes it was a big mistake to come so late). Waited in the cold till Comiket started, and bam I charged (just fast walking) to the Ice and Choco booth. After that is more or less history, missing out on the other groups due to the long wait at Ice and Choco booth (2 1/2 hrs), but thankfully my cousin managed to grab some of the stuff I wanted (sold out when I reached eventually, most), which I did gave him a list beforehand since he wanted to go on his own and get his Crazy Clover Club stuff. He also managed to get a copy of Ito Noizi's book, but only manged to get one copy, in which I allowed my friend to have it since he really love the art. We stayed till around 3.30 then we left. Damage Done: 31,300 Yen. Total Damage Done: 66,600 Yen. This amount is just me alone, but I think my cousin and friend combined is about 2/3 of that amount though. I had initially set aside 65,000 Yen in 1,000 Yen (60) notes and 500 Yen (10) coins just for Comiket, and I'm sure the booths were happy to be paid in those instead of big fat 10,000 Yen notes. 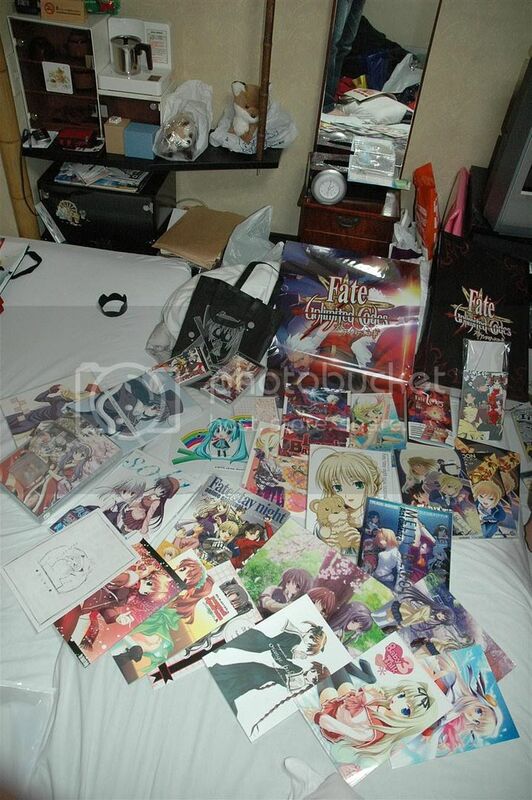 My cousin's loots after 3 days of Comiket. He asked me to help take one for him. Still waiting for my friend to send me his loot pictures when he gets back to Aussie. I didn't take a photo of mine as I couldn't find the room to arrange them on the bed properly though. Until next post, signing out! And yea ignore the "short post" comment I made at the start, I didn't realise I would type these much lol. Japan Trip - Part 4 ~ Finale.